Artecy Cross Stitch. Navajo Indian Woman - Large Cross Stitch Pattern to print online. About us | Contact us | FAQ | Copyright and Use of Patterns | Newsletter | Why Choose Us? 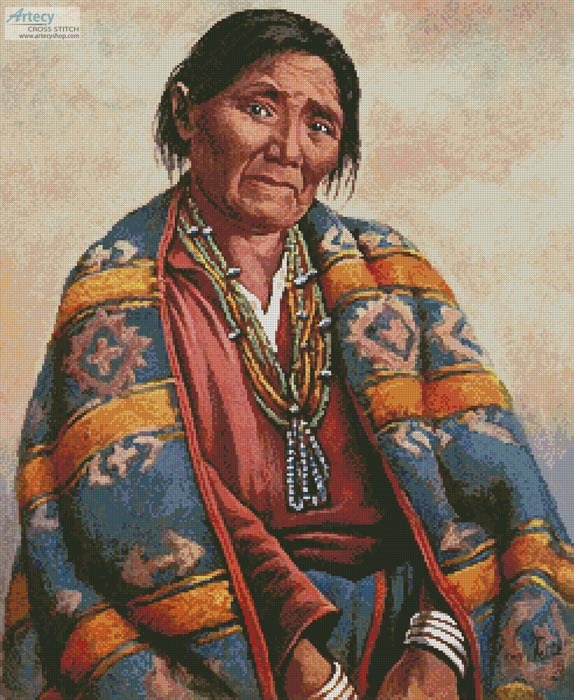 This counted cross stitch pattern of a Navajo Indian Woman was created from an antique print.